MeeBlip anode is the monosynth with an analog filter, co-produced with CDM and shipping now worldwide – see meeblip.com – and open source, at GitHub. Now, much to our surprise when we opened Synthtopia over the weekend, it seems someone has gone ahead and made a Eurorack version. You can’t buy it – this is a one-off – but it’s certainly a clever idea. 20HP wide, and tons of analog ins and outs: gate, envelope controls, inputs for the analog filter and resonance (the only way to external control resonance, actually, as that’s an all-analog control), plus two outs. They’ve also produced an epic demo video. The sound quality isn’t exactly pristine, but some nice musical ideas and it shows off the patching powers clearly. Details: Ninstrument, which has some nice things to say about what we’ve done with anode as a synth. This isn’t the first time someone has tried something like this. Shawn Rudiman in 2012 took the MeeBlip DIY version and built an extraordinary rack module out of it, making it look like a Roland SH-7, and also including CV ins and outs for everything. Also, awesomely, the video seems like it was shot on VHS in the 80s. So, for now, anode is available exclusively in a case with MIDI. 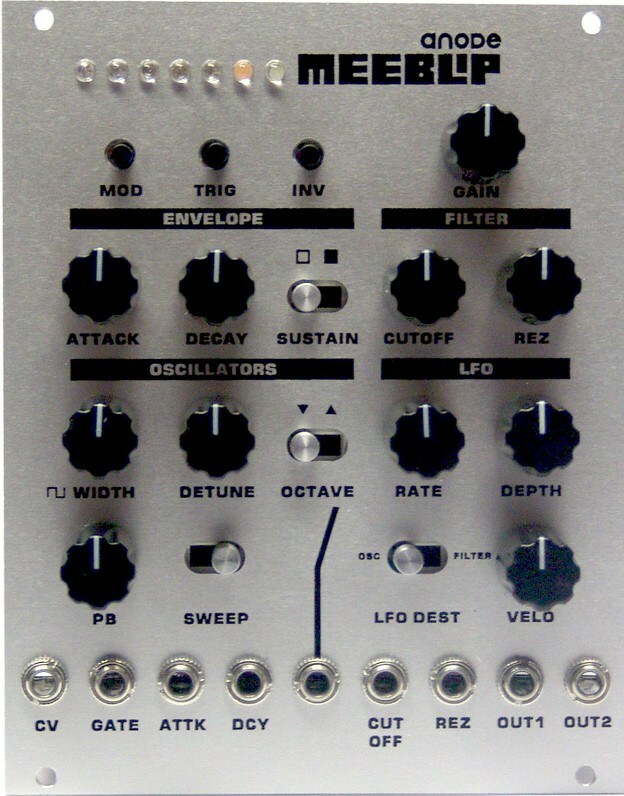 But I’m curious – how many of you would want a module, and is this what you’d want it to look like?